Mental illness covers a wide spectrum of disorders that hamper your general thinking ability or even create behavioural changes. Some may be severe and rare like multiple personality disorders, schizophrenia, others much common like depression, anorexia, and addictions. So, what is to blame for such a condition? Researchers have derived theories stating that chemical imbalance in the brain is the cause of mental illness. Scroll down to know more. How Does Chemical Imbalance in the Brain Happen? According to researchers, our brain is a complex organ surrounded bysynaptic vessels that form beneath the membrane of the brain and are responsible for the secretion of the endogenous chemicals. These chemicals, also known as neurotransmitters, then pass on the amplified brain signals to neutron and various other cells located in the brain. It is suggested that these neurotransmitters whose abundance or high concentrations in the brain boosts mental illness. The origin of the term "chemical imbalance" goes back to several decades ago, through a thorough study of the brain chemistry. Monoamine oxidase inhibitors (MAOIs) and tricyclic antidepressants were found to be very effective in fighting against depression. This paved way to multiple types of research related to the chemical imbalance in the brain, which all pointed to the involvement of neurotransmitters, like for schizophrenia, heightened activity of dopamine was responsible. For the last 25 years, researchers and scientists are showing a lot of interest in this topic. Like other researches, this theory also faced a lot of criticisms from the scientific community. But, till date, none of the challenged hypothesis has been able to overpower it neither conceptually nor demonstrably. This hypothesis is thought to be over-exaggerated and magnified for easier promotions by the pharmaceutical companies, as deduced by several critics. Others claim that generalisation of this theory has marked the eventual acceptance amongst the masses – who are not fully aware of the actual happenings in the brain. According to them, this theory has been oversimplified for general understanding with no base whatsoever. Other than that, the doubt surrounding antidepressant drugs and placebo effect is also a big point. However, as said earlier, there are no better theories that rule over the hypothesis relating chemical imbalance in brain. So it won’t be wrong to say that this theory is helpful in providing us a better understanding of the brain chemistry in relation to mental illnesses. The low levels of serotonin, dopamine, and neurological inhibitor chemical GABA in the brain causes depression. GABA is said to be responsible for blocking the neurons from entering a hyperactive state, but extremely low levels of it cripples the normal functioning of the brain, triggering a depressed state. Anxiety is caused by low levels of GABA and serotonin with high levels of stress related hormones like cortisol and adrenaline. The sudden panic, sweating, dilation of the pupil or various other symptoms are all due to these chemical changes in the brain. ADHD is said to be due to low levels of dopamine markers that are responsible for making people feel pleasure or excitement in some activities. This theory has rendered the possible link between low levels of dopamine and lack of motivation in patients. Check for vitamin D deficiency: bask in the warmth of the sun to keep your brain healthy. Vitamin D is said to be responsible for many hormone related changes and it has often been linked to the treatment of mental disorders such as depression. Other than the sun, you can turn to salmon, tuna fish, beef liver and egg yolks for vitamin D.
Increase omega-3 fatty acids in your diet: also known as essential fats, omega-3 fatty acids help with normal stimulation of the brain and can be found in most kinds of seafood including fish, shrimps and prawns. Go for acupuncture: Enduring pain for sometime can get you free from the grasps of potential mental illness. Just have a few sittings for acupuncture, a treatment that presses down your specific energy points to stimulate body’s processes and ensure smooth flow of energy in the body. Try herbal medicines: What can be better than taking up nature’s blessings in your state of low. Such medicines are famous worldwide due to low levels of side effects and high effectiveness. Some of the common medicines include kava kava, Valerian root, ashwagandha root and passionflower. Exercise: exercises help release the feel-good chemicals in the brain as well as promote proper oxygen flow to the entire body. Try brisk walking for half an hour every day or swimming. Unlike physical diseases, mental disorders are difficult to be diagnosed: with multiple disorders manifestingthe same symptoms. 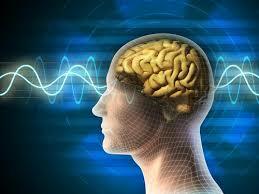 There is no test available to measure the level of neurotransmitters in the brain. However, blood tests can detect imbalance of hormones like thyroid hormones or insulin, which could be related to mood changes. In addition, mental conditions such as depression is also found to be linked to excessive levels of copper and lead, and insufficient levels of folate, which all can be measured. If the problem still persists, don’t shy away from seeking professional help especially when you are experiencing the conditionrepetitively. It is always better to be open to asking help than living with the consequences of the problem. As seen with many patients suffering from mental illness for a long period of time, symptoms tend to change from one time frame to another. Try consulting a professional with whom you are comfortable. When seeking help is a must? When you are in your extremes – having thoughts of self-harm, having been agitated or gloom for too long, feeling a lack of motivation, having trouble memorising things, forgetting events that you used to remember precisely, absent-mindedness and so on. Getting professional help will help you get more control over your own thoughts that seemed impossible earlier. Frequent appointments with a professional enable you to keep a tab on your behavioural and mental changes. Some medications for such chemical imbalance in the brain include antidepressants, anti-anxiety medications, mood-stabilising medicines and antipsychotic medicines. They can be prescribed to you by your doctor, depending on the severity of your condition. Psychotherapy is another important way of treating mental illness that requires you to talk about your problems with a mental health provider. This method makes you aware of your own troubles and enables you to learn about ways to cope up with them. What Does Adjustment Disorder (DSM IV) Mean?